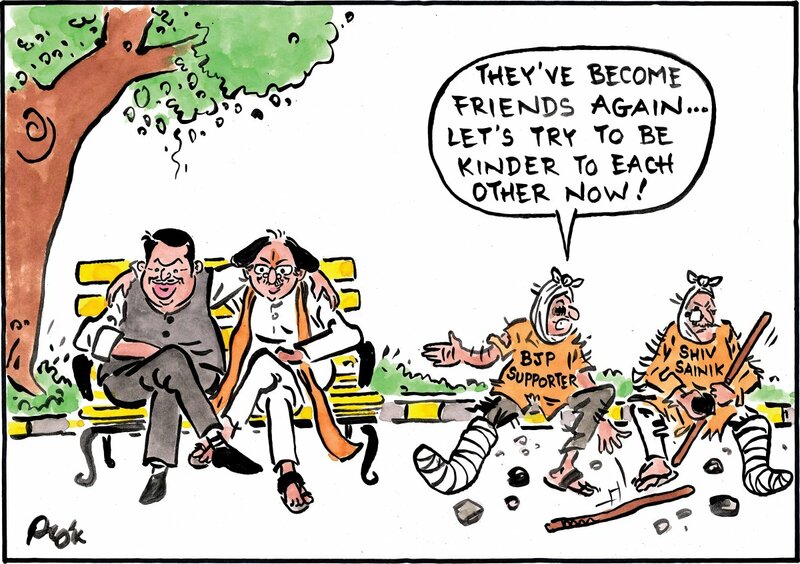 For the Sakal Media Group, Alok Nirantar depicts the dilemma of BJP and Shiv Sena supporters as they try and keep up with their leaders’ changing stance on the alliance. 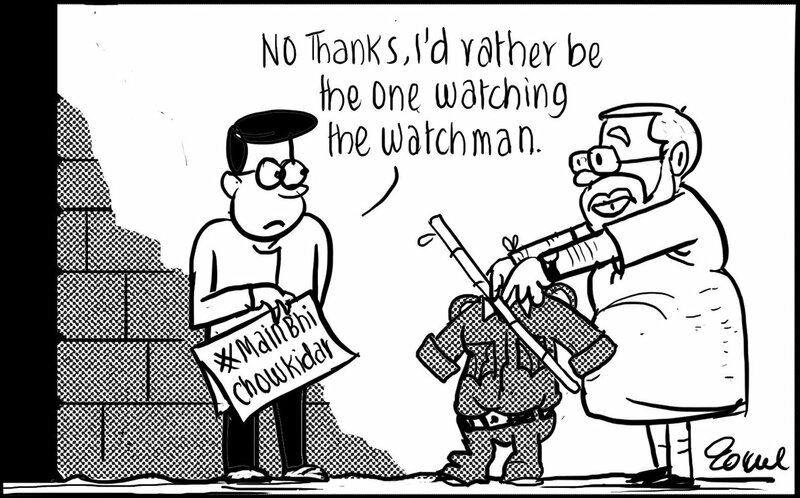 In The Asian Age, Gokul Gopalakrishnan takes a jibe on Prime Minister Narendra Modi’s “Main Bhi Chowkidar (I’m also a watchman)” campaign. 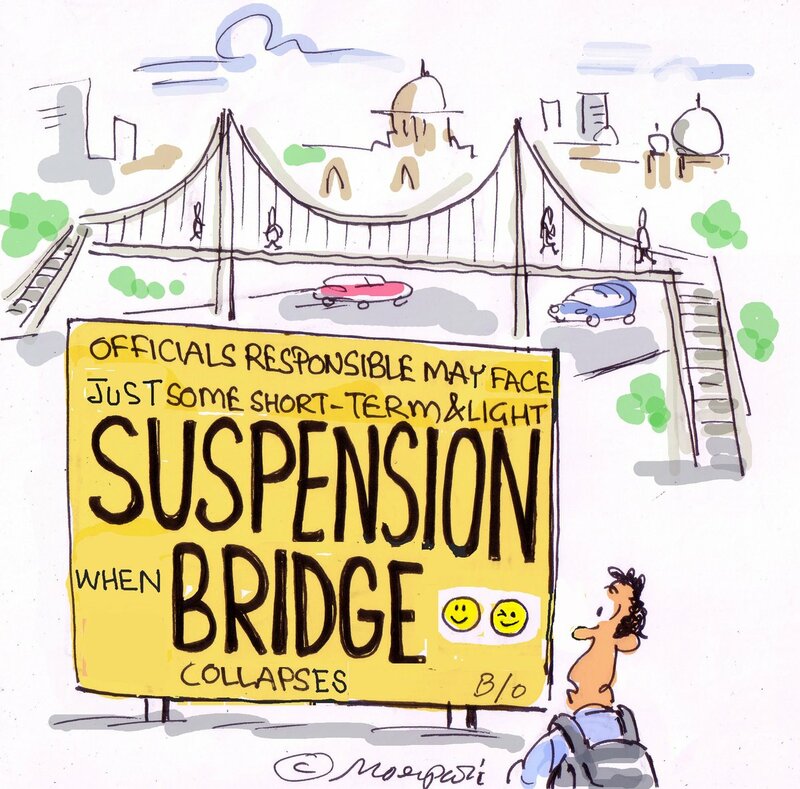 Hemant Morparia weighs in on the recent foot overbridge collapse near Mumbai’s CST station, which killed at least six people. The Brihanmumbai Municipal Corporation suspended two officials in the wake of the collapse, while also ordering a departmental inquiry against them. 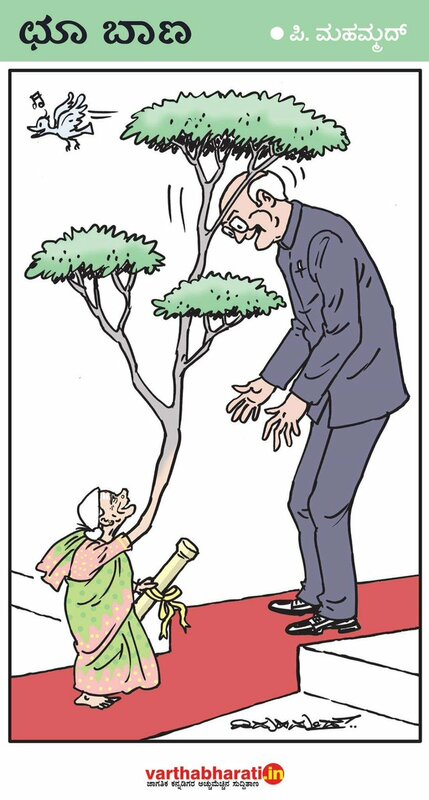 Mahamud seeks to recreate an iconic image from last week’s Padma awards ceremony, when Saalumarada Thimmakka, a 107-year-old environmentalist awarded the Padma Shri for planting thousands of trees in Karnataka, raised her hand to bless President Ram Nath Kovind as he conferred the honour on her. 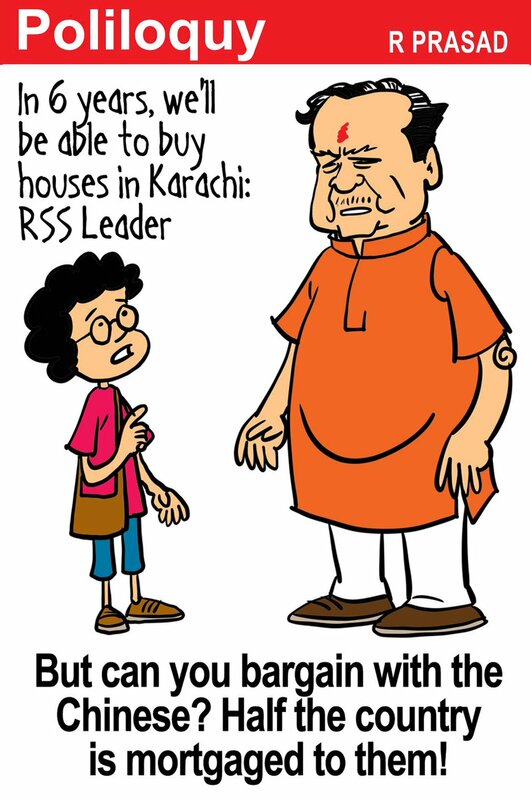 In The Economic Times, R. Prasad takes a jibe at RSS leader Indresh Kumar’s recent comment that Pakistan will be a part of India after 2025 and that Indians would be able to buy houses in Karachi in six years. 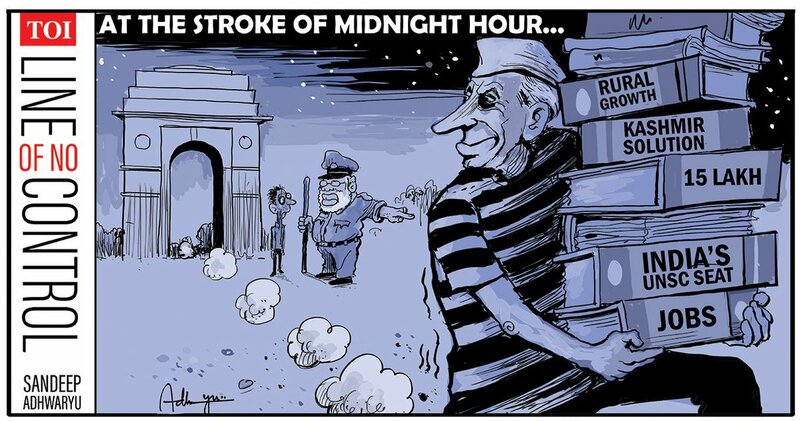 Sandeep Adhwaryu for The Times of India takes a potshot at the Narendra Modi government’s repeated attacks on India’s first Prime Minister Jawaharlal Nehru. Finance Ministry Arun Jaitley recently lashed out at Congress president Rahul Gandhi for criticising PM Modi over the stalled bid to get a UN ‘global terrorist’ tag for JeM chief Masood Azhar, saying it was Nehru who paved the way for China’s UN Security Council membership. 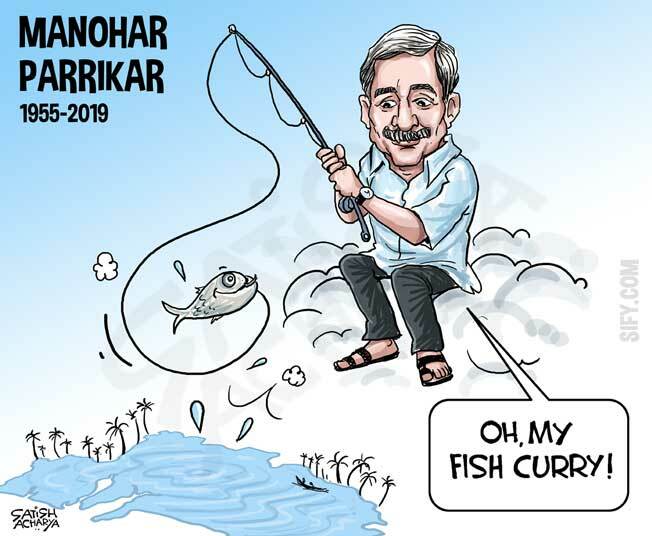 Satish Acharya pays homage to Goa Chief Minister Manohar Parrikar, who passed away Sunday after battling pancreatic cancer for over a year.